1983 Hilburn Other Located at North Shores Marina on Lake Ouachita. 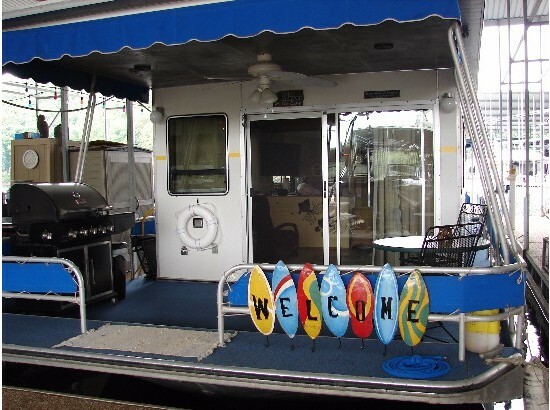 This 14X48 houseboat features 2 bedrooms, Master with Queen & Cuttie with 2 Queen size beds, Sleeps 6 comfortably. Complete kitchen with new full size refrigerator, fully furnished inside & patio furniture on top, even has an electric corner fireplace, 2 flat screen TV's, large gas grill, stereo system speakers throughout, depth finder, and lots of storage. Everything works on this boat. Two roof heat and air units, Twin Merc Cruiser, 6500 watt generator, new out drives and boots in 2016, drive from helm or sky bridge. 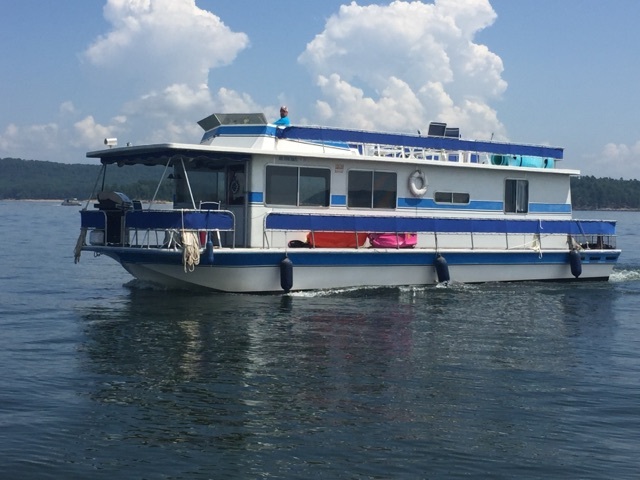 This boat is ready to step aboard and enjoy beautiful Lake Ouachita, Slips are available. Priced to sell, Call or text 501-200-2086 or 501-400-5199. 1984 Hilburn Hilburn Houseboat Located at North Shores Marine on Lake Quachita. 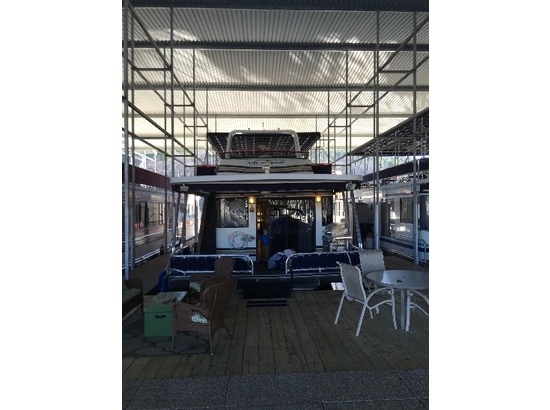 This 14X48 houseboat features 2 bedrooms, Master with Queen & cuttie with 2 Queen size beds sleeps 6 comfortably. Complete kitchen with new full size refrigerator, fully furnished inside & patio furniture on top, even has electric corner fireplace, 2 flat screen TV's, large gas grill, stereo system speakers throughout, depth finder, and lots of storage. Everything works on this boat. 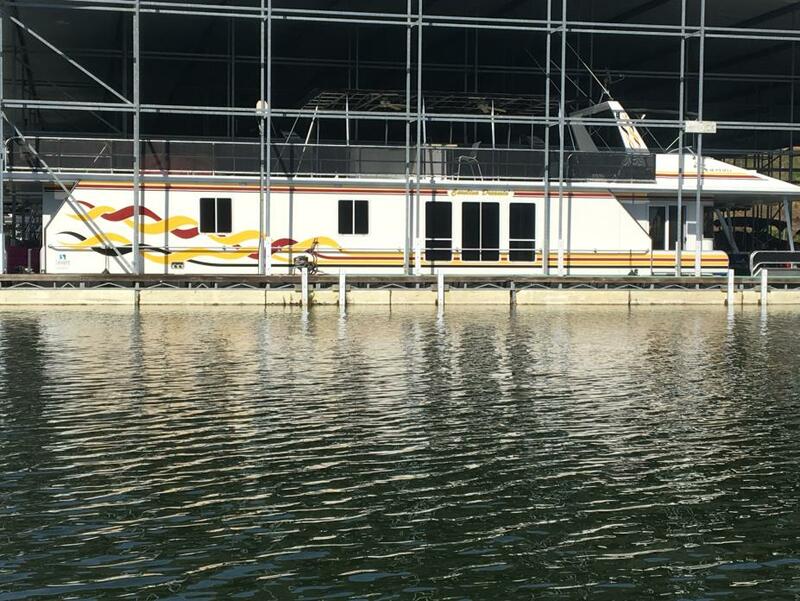 Two roof heat and air units, Twin Merc Cruiser, 6500 watt generator, new out drives and boots in 2016, drive from helm or sky bridge, This boat is ready to step aboard and enjoy beautiful Lake Quachita, Slips available. Priced to Sell. Call or text 501-200-2086 or 501-400-5199.